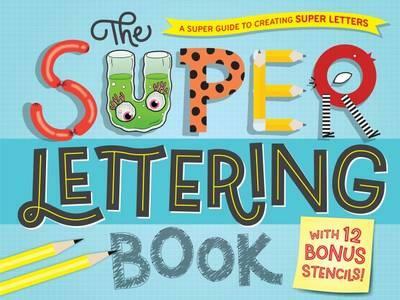 The Super Lettering Book is a spiral-bound activity book jam-packed with crazy, fun and fancy fonts, and instructions on how to recreate them. Word art tips and tricks abound, from reflecting a place via lettering, like Hollywood and the Taj Mahal, to incorporating creatures in each letter of the alphabet. There’s inspiration overload for party invitations, and a very fun page of ‘creepy stuff’, perfect for all things Halloween. Along with lots of ‘how-to’ advice, the book also encourages experimenting with your own variations on fun lettering. Every themed spread contains a list of suggested words that readers can try and put their own unique spin on. Towards the back are some sturdy, cardboard stencil pages for tracing, too. 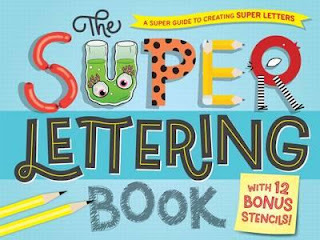 From foodie fonts to street art to space-themed lettering, this book explores the world of word art in a kid-centric way. It would make a great gift for those in mid to upper primary school.